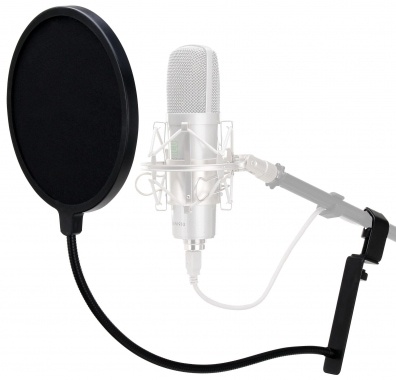 Professional Pop Filter for the Recording Studio! 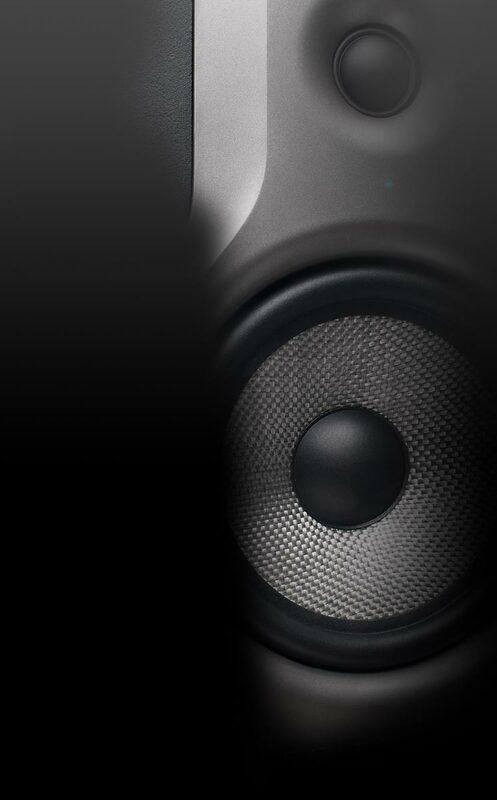 and flexible gooseneck, it reliably reduces popping sounds and the sizzle of letters like P, B and S.
ensuring crystal-clear recordings without distortion. 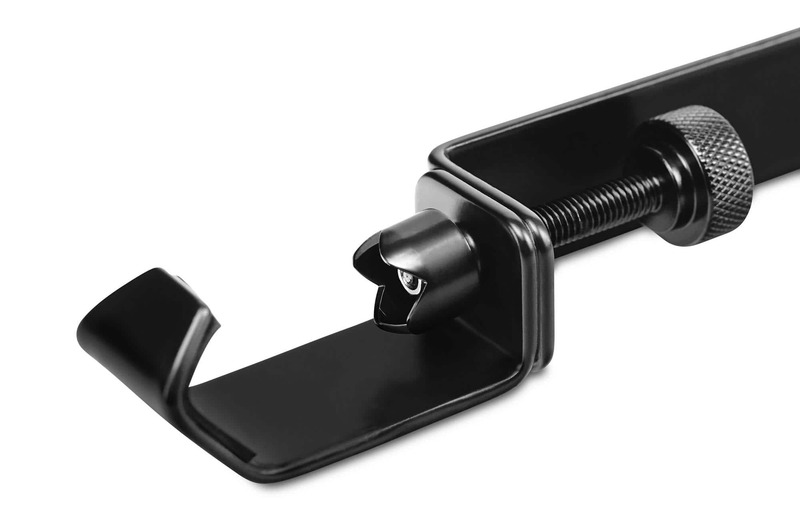 The flexible angle bracket, which turns up to 90°, ensures universal mounting on nearly all stands or microphone stands. With its 37-cm long gooseneck, you have enough movement to place the microphone where you need it most. 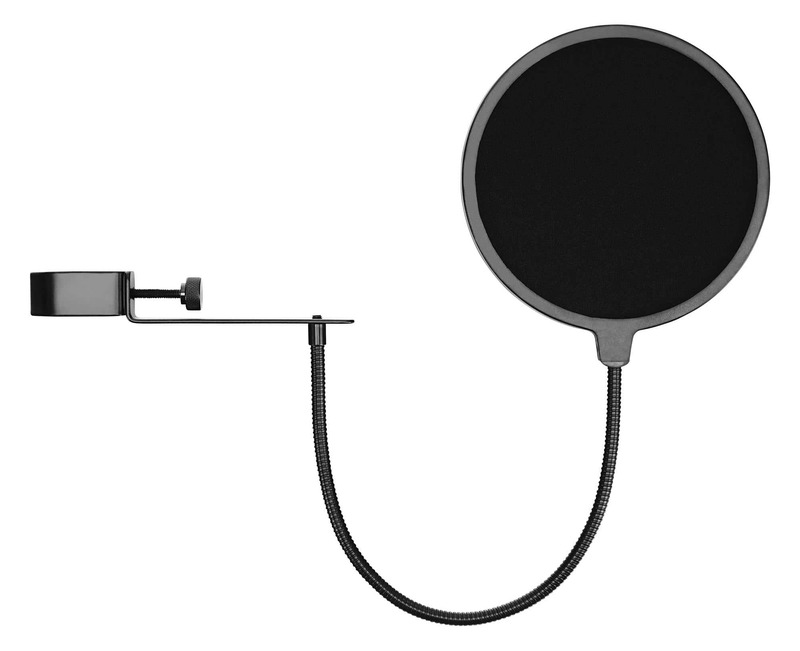 At only 270 g, you can take this pop filter on the road to rehearsals, recording sessions, and concerts. Pronomic delivers professional results at an affordable price!